From what to do with items you don't think you can sell, what's an "Own It Now," how big to make your auction, and so much more, we give our opinions about how to make your silent auction awesome! Be sure to head over to our Facebook page and give us yours! How do Chamber events, Lions and Rotary and Kiwanis meetings, AFP and CSPRC meetings and board and committee meetings and committee meetings for your national organization fit into your calendar? Are they work? Are they paid? Are they on your time? Can you have that glass of wine? Natalie and Marjorie pop a bottle to tackle this balancing act of when work and life start to merge and share their secrets of how they choose. Have you ever wanted to run a fundraising event? Maybe one that raises $500k in it's first year in a small town? It's not magic, but it does take work and following the 7 Steps. Mary Valloni comes back to the show (our first return guest!) to share her secrets and tell us all about her upcoming book, Fundraising Freedom! 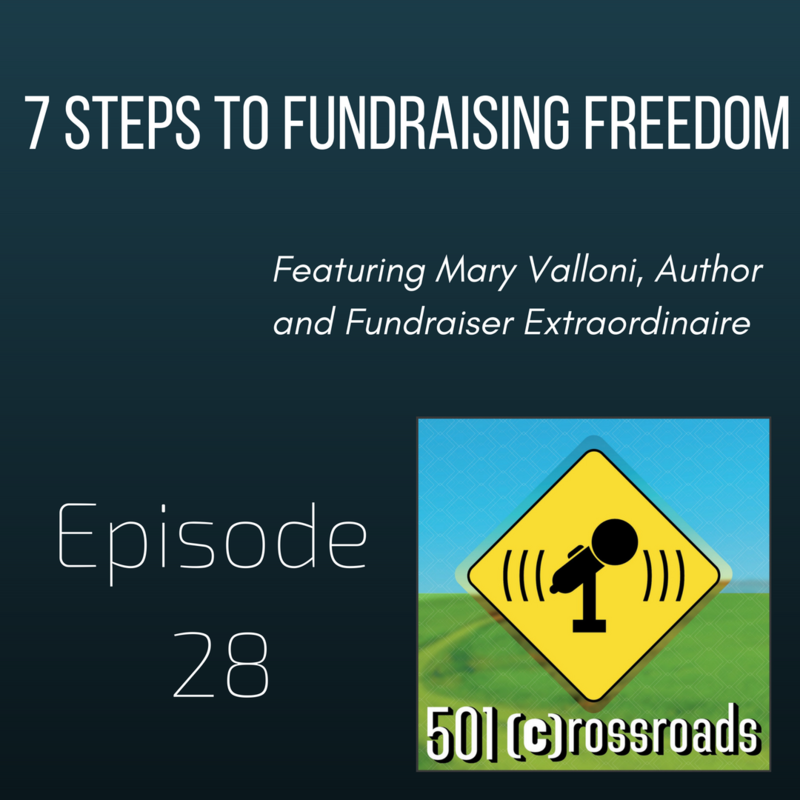 Follow Mary on Facebook at https://www.facebook.com/maryvalloniconsulting and check out her website at http://www.maryvalloni.com/ to keep up and get more tips and ideas about how to make your next fundraiser or campaign success. And of course, the book launches on January 17, but you can pre-order it right now on Amazon or any other fine retailer of books! 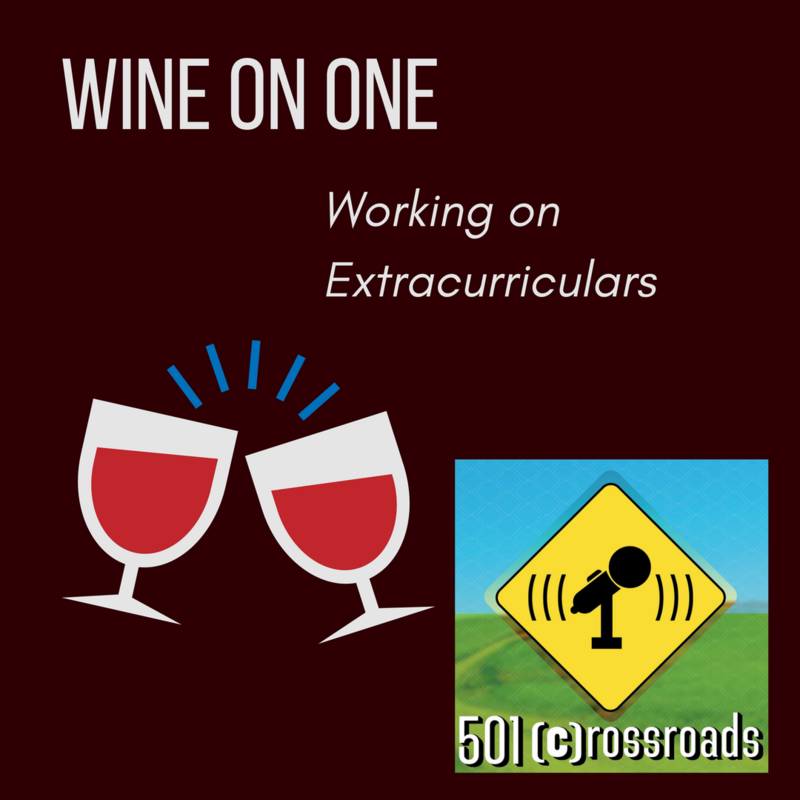 In our first Wine on One episode where we tackle questions from our listeners... and ourselves, we talk about how we combat burnout in ourselves and with our staffs. Marjorie has a two night rule that's definitely a keeper! Those who have gone through our programs and schools and have served on our boards can be a nonprofit's greatest resource. However, so often nonprofits just let them fade away. Jan Misuraca, retired Executive Director of the Parkway Alumni Association, came to talk to Marjorie and Natalie about all the ways that you can engage alumni and former board members to create greater success for your programs. How Does Your Nonprofit Retain Termed-Out Board Members? You can connect with Jan by calling her at 314-780-7472. Find her on LinkedIn and Facebook. Galas are a main stay of any development plan, but we’ve all been to one... or 10 thrown badly. Today, we're looking at the logistics of throwing the perfect party that each one of your guests will rave about for years to come. And, sometimes we don’t have to go very far to find our experts, this week, Jason Frazier, Development Director of MindsEye (Marjorie's organization) joined us to give his tips about how to throw a great party. And he knows his stuff. Prior to his years as an event and development specialist, Jason was an event promoter. You can connect with Jason on MindsEye's Facebook or Twitter, or on his LinkedIn. Want to read the articles we referenced? 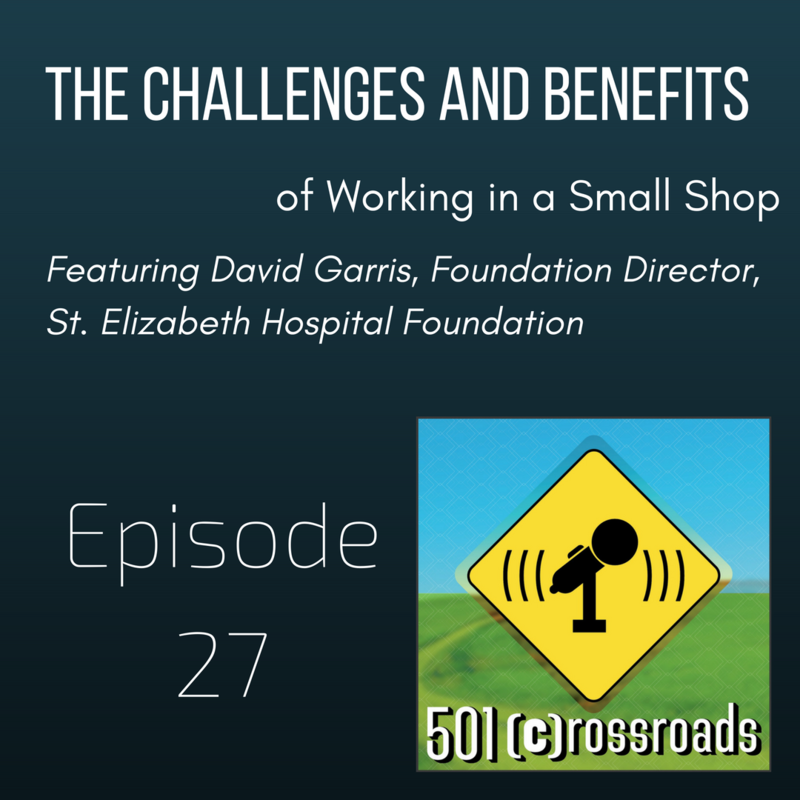 Nonprofitteers wear so many hats, sometimes it's hard to keep them all on at once! Between our regular duties, email, meetings and social meeting, you can just hear your time sucking away. Marjorie and Natalie are here to give you concrete tips and tricks to manage all of that and we promise, we aren't taking away your email or Facebook! You can find 501Crossroads on Facebook at www.facebook.com/501crossroads.